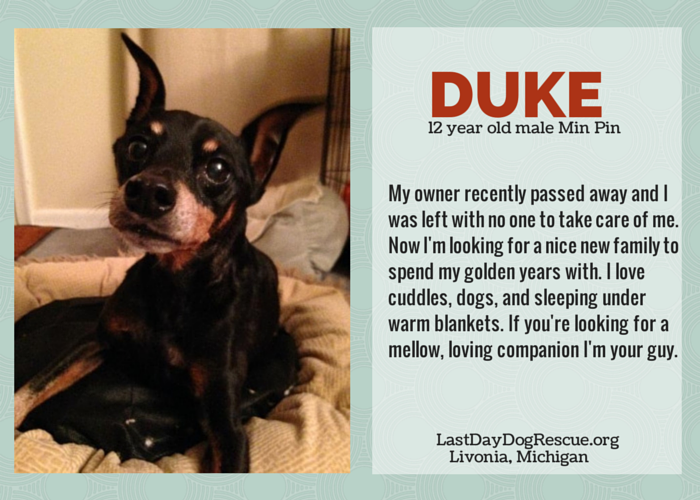 It doesn’t get any sweeter than Duke; he loves nothing more than snuggling up with you under a nice warm blanket. His cuddle skills make most dogs looks like novices. 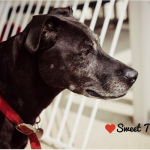 Update 02/28/15 – Duke has been adopted. Duke’s owner recently passed away leaving him with no one to care for him. He’s a 12 year old male Min Pin that weighs just 11 pounds. He loves cuddling, sleeping under warm blankets, and getting lots of attention from that special someone. He gets along well with dogs but he likes to chase cats. He has some problems with his mobility in his hind legs though he’s on medication for it. He can get around the house fine but he cannot do steps. Little Duke is a 12 year old male Min Pin weighing in at about 11 lbs. His owner passed away and there was no one to take care of him. Duke likes to cuddle, sleep under his blanket, and have you give him all kinds of attention. He is not a barker, he does bark, but at the normal things, like the mail man, knock at the door, etc. If you’re looking for a sweet little dog Duke is your guy. He’ll make a great loving companion for his new family. If you’re interested in Duke he’s available for adoption through Last Day Dog Rescue in Livonia, Michigan. If you or anyone you know is looking for a calm dog tell them about Duke the Min Pin – cuddler extraordinairre. Last Day Dog Rescue has a Seniors for Seniors program: Animal lovers 65 years or older can adopt a dog that’s 7 years or older for $35. All dogs are spayed/neutered, up to date on their vaccinations, and microchipped. As with all of their dogs Last Day Dog Rescue agrees to take an animal back in case of an emergency or illness. 12 Year old Duke’s owner passed away – now he’s looking for someone to take care of him. Duke would love nothing more than a new cuddle buddy to spend his golden years with. 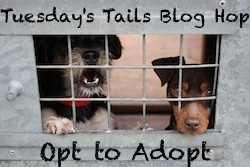 This post is part of the Tuesday’s Tails Blog Hop that features adoptable shelter pets. This hop is hosted by Talking Dogs and Dogs N Pawz. 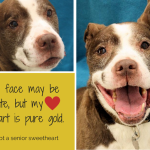 In honor of adopt a senior dog month let’s find this sweet older fellow the loving home he deserves. 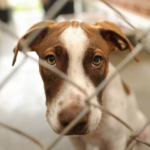 Join the hop or help spread the word about all of these wonderful shelter pets. « Why Do Dogs Have Spotted Tongues? That face! What a great adoption photo. Hope Duke will find a new loving home for the holidays. Sharing. aww, so adorable, poor thing. I have shared, and our paws are crossed! The seniors for seniors program sounds like a great idea. 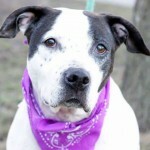 I hope Duke can tale advantage of the program and find a home soon. I love the seniors for senior program! Dying and leaving our loving pets behind is a worry for every pet owner. It is so important to make arrangements for someone to care for them if we pass away. Death doesn’t have an age limit, so have a plan in place! Poor Duke. So sad that his owner passed away. Breaks my heart. Paws crossed for him. Sharing. I hope Duke finds a forever home soon. It must be a very confusing time for him. He’s a real cutie. I just finished reading your article, and really enjoyed it, thank you. You can see some fun Miniature Pinscher dog books at http://www.fun2readbooks.com where you can also hear the dog stories for the same price as a paperback book, and they are fun to listen to.